HMIs are the spaces where human and machine interactions occur, enabling humans to effectively operate and control machinery, while the machines provide important feedback to aid with more insightful decision-making. User interfaces can include industrial control panels, tools, computer operating systems or equipment controls with a goal to make operation as simple and user-friendly as possible. HMIs have been know as MMI's or Man Machine Interfaces, GUI's or Graphical User Interfaces, and GOT's or Graphic Operator Terminals. The most effective HMIs require little human input with maximum beneficial output results. 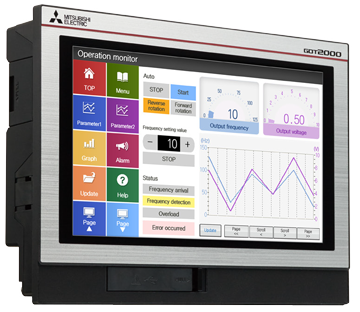 HTE offers HMIs that decrease the operation panel size, cut wiring costs and standardize panels since setting, switches and lights can all be controlled with equipped software. HTE Automation is dedicated to providing the resources Kansas, Missouri and Illinois manufacturers need to maximize the return on their investment in user interface technology.